The Observer Building, 53 Cambridge Road, Hastings TN34 1DT. "Where Should the Birds Fly." (58 minutes). This is the story of two young women, survivors of Israel's Operation Cast Lead. Mona Samouni, now 12 years old and the filmmaker, Fida Qishta, now 27, represent the spirit and future of Palestinians. "Where Should the Birds Fly" trailer. Article in the Hastings Online Times. Ahmed grew up in the Gaza Strip and moved to the U.K in 2002. He helped form the theatre & dance group Al Zaytouna Dance Theatre. Ahmed has written and produced plays for theatre and radio, including "Escape from Gaza" for BBC Radio 4. Last year Ahmed published "Vanished: The Mysterious Disappearance of Mustafa Ouda" - "a fictional story set against the political unrest in Palestine." A chapter of Ahmed's PhD research has been published in the "Britain and the Muslim World: Historical Perspectives" by Cambridge Scholars Publishing. To Israel, being "from Gaza" is a crime. Ahmed's website. The second "Big Ride" is taking place to mark the second anniversary of Israel's bombardment of Gaza in 2014. This year, 4 separate rides will head towards the Israeli owned Elbit Systems factory at Shenstone (Staffordshire). To co-incide with this, there will be a series of rides in Kent - culminating at Instro, owned by Elbit, the Israeli manufacturer of killer drones. Location:15 Hornet Close, Pysons Road Industrial Estate, Broadstairs, Kent, CT10 2YD. 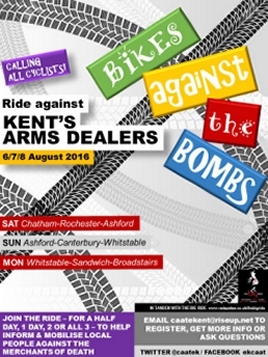 More information about the "Ride Against Kent's Arms Dealers." We plan to travel to Broadstairs to welcome the ride at Instro/Elbit along with people from all over the south east. If you want a place in a car or if you're going and have any spare space, please get in touch: email Hastings PSC or 'phone 07854 486794. More information about Elbit Systems. This year's St Leonards Festival. Pressure Israel until it ends Gaza siege). 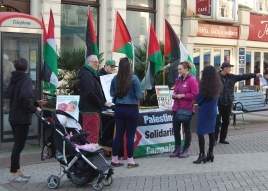 Lots of 'Boycott Israel' stickers given out along with leaflets opposing the occupation and supporting BDS (Boycott, Divestment and Sanctions). Saturday 17 September. 14.00 - 16.00 / 2 - 4pm. More information to follow. 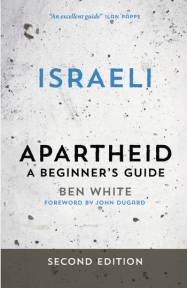 Ben's two books: "Israeli Apartheid: A Beginner's Guide" and "Palestinians in Israel: Segregation, Discrimination and Democracy." 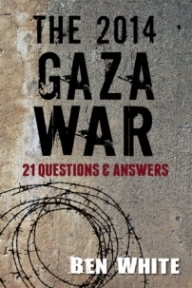 Soon to be published: "The 2014 Gaza War: 21 Questions & Answers." The Edward Said Conservatory of Music from Gaza. Concert in Brighton. 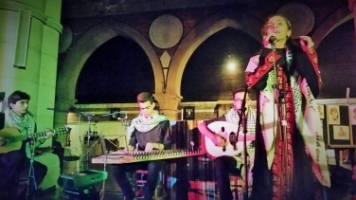 The child musicians from Gaza had enormous difficulties obtaining visas and travel permits in order to travel to the UK. 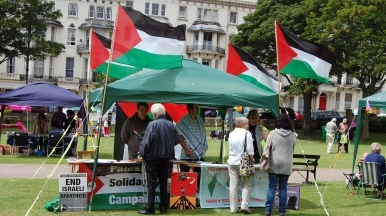 A huge amount of work went into bringing them to the UK - much respect to the organisers - the Brighton and Hove PSC and Brighton and Palestine Artists Together. The Music School miraculously survived the devastation in 2014, having previously been re-built after the Israeli bombing raids of 2009. Videos of two of the numbers performed: Mali Cheghel Bessouk and Ghanili Chwiye (Oum Kalthoum). Though we recommend the full concert! Palestinian Olympic team on way to Rio. Mary al-Atrash will be one of six Palestinians competing in Rio, the largest delegation Palestine has ever sent to the Olympic Games. She has had to overcome numerous Israeli restrictions to prepare for the Olympics. Nearby Jerusalem has better facilities, including several Olympic-sized pools and many swimmers to train with. However, because of the Israeli occupation, Mary is unable to travel to Jerusalem to train. She finally found suitable training facilities - in Algeria, the first time she has been able to train in a real, Olympic-sized pool. Video: interview with Mary al-Atrash. 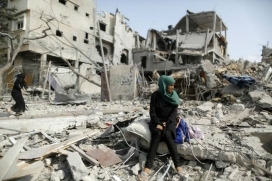 Timeline: the 2014 Israeli massacres in Gaza "Operation Defensive Edge." A useful background to the 2014 conflict - showing that Israel was desperate to destroy the Fatah-Hamas Unity government at any cost. Medical Aid For Palestinians (MAP): Remembering Gaza's Children. One of MAP's partners in Gaza - the Al Mezan Center for Human Rights - has recorded the stories of the lives of every one of the 556 children killed during Israel's Summer 2014 assault. Article here. Palestinian youth was shot 9 times 'accidentally,' Israeli army says - and 44 other articles about the occupation. Israeli navy shoots and injures Gaza fisherman, bulldozers level land near border. Photos: Palestinians of Susya return to village they were expelled from. 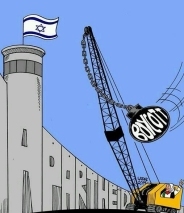 Palestinians stop Israeli bulldozers. Dr. Mads Gilbert Has A Prescription For Gaza. Gaza's rich history is potential tourism draw. Israel releases 14-year-old Palestinian girl after 3 months in prison. Activists defeat anti-BDS legislation in Massachusetts.